The Basics – Are You Prepared? 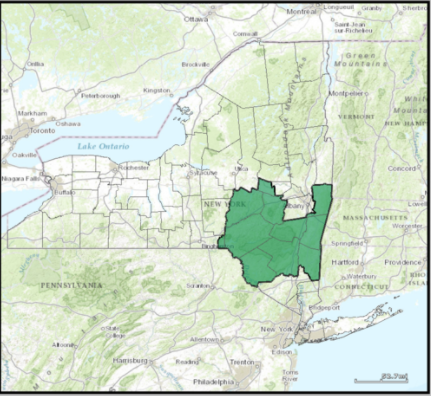 United States House of Representatives, New York District 19 is located in New York‘s Hudson Valley and Catskills regions. District 19 lies north of the New York City metropolitan area and mostly south of Albany. It is currently represented by Republican John Faso. 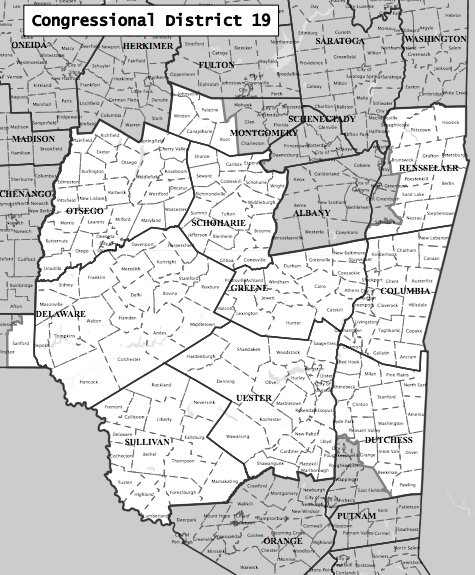 Based on the 2010 U.S. Census, and 2012 redistricting, the 19th district comprises all of Columbia, Delaware, Greene, Otsego, Schoharie, Sullivan, and Ulster counties, and parts of Broome, Dutchess, Montgomery, and Rensselaer counties.The current 19th District includes portions of the former 20th and 22nd Congressional Districts. President Obama won the new district by 6.2% in 2012, while Donald Trump won by 7% in 2016. More on NY19 from Swing Left here. While Roll Call lists NY19 as a “Tilt Republican” district, The Cook Political Report among others considers it a “toss up”.